It has not been long since “Lament II” was presented at the 13th Theater X International Dance & Theater Festival 2018 in Tokyo this July and the response from the audience was very positive. The feedback received during the after-talk was a special experience. The Japanese audience together with the other participants from the festival sat on little chairs in the theater’s foyer for about one and half hour. Facing with their heads down and sometimes with eyes closed, one would think they are sleeping but on the contrary, they were actively participating in the talk. Very humble, polite and silently concetrating for asking questions, they shared their feelings about the performance “Lament” and expressed how impressed they were by the physical training and connection of the actors that come from such different cultural and religious backgrounds. 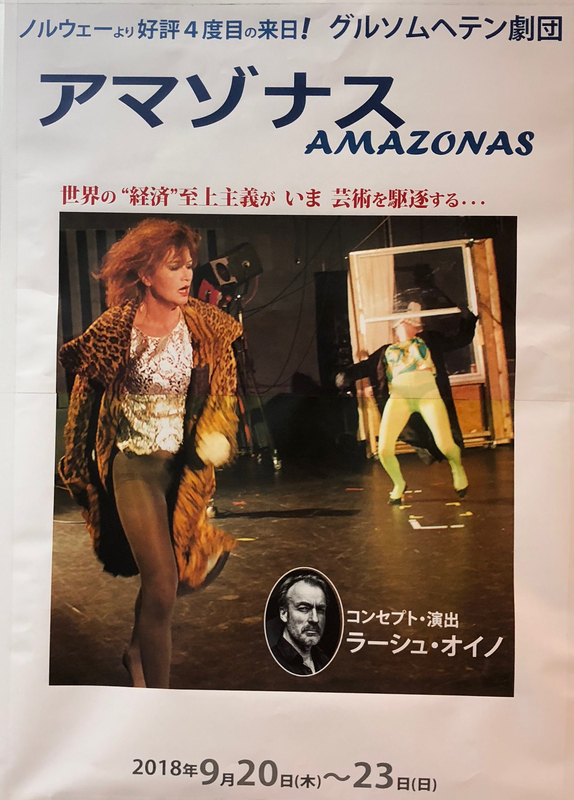 At the end of the talk, the director of the theater, Mrs. Misako Ueda, announced that Grusomhetens Teater will perform “Amazonas” in September and shared flyers. For the 5th time Grusomhetens Teater is invited to perform at Theater X Cai in September, as it has been for the last years. Mrs. Misako expressed her interest in “Amazonas” as it reflects the international conflicts that theater communities are facing, those who are becoming copies of business and capitalism. Theater X cai is in collaboration with the Grotowski Instutut in Poland and will produce a performance with japanese and polish artists. Without any financial help it is very difficult for both companies to support the production. In Japan, theater is going through a crisis as there in no financial support from the state and the same happens in Poland. Mrs. Misako asked Lars Øyno to give a conference talking about his response to the crisis most theaters are facing internationally and how is he managing to produce performances. “Amazonas” premiered in 2011 at Theatr Bagatela in Krakow, Poland under the Eurodramafest, performed in Oslo, Norway and in Bristol, UK at The Colston School. Rehearsals start in September with new members joining the cast. This time with Hanne Dieserud, Lars Brunborg, Jimmie Jonasson, Kirsti Sørlie Hansen, Ivar Sverrisson, Kristiane Nerdrum Bøgwald and the musician Therese Kinzler Eriksen.